Image: Yang style martial application of Cloud Hands. Yang Style was created by Yang Luchan and branched off from the Chen style teachings of Chen Changxing. The sons and grandsons of Yang Luchan continued to change the Yang style. Both the Wu Yuxiang and Wu Chian Chuan styles branched off early on. The Wu Yuxiang Style is influenced by the small frame of Chen Style as taught to Wu Yuxiang by Chen Qingping, and in some ways is not a direct derivative of Yang Style. Sun style branched off of Wu Yuxiang style. While the Wu Chian Chuan Style was initially developed by Wu Quan You based strictly on his studies from both Yang Luchan and Yang Banhou. Later Wu Quan and his son Wu Chian Chuan carried on the development of this style of T'ai Chi Ch'uan. Wu Quan's (A.K.A. Quan You) teaching of the Slow Set in Beijing appears to be carried on and interpreted by those who practice "Northern Wu" style. It is easy to see, the resemblance to Yang style with the back foot turned out and a more upright posture. Wu Chian Chuan style (A.K.A. Wu style), sometimes called "Southern Wu" because Wu Chian Chuan moved to Shanghai and also because there is a "Northern Wu," was carried forth by Quan You's son and his descendants. A Wu style Slow Set, or more refined style was developed, that favors a smaller frame with more compact stances. In each of the cases of "Northern Wu," Wu Chian Chuan, and in the Wu Yuxiang Style for that matter, you are seeing practice that is closer to various stages of the Taijiquan teachings of Yang Luchan than most of what we are seeing taught by the various teachers of Yang style today. One aspect of this claim are the numerous changes made by the sons and grandsons of Yang Luchan - particularly Yang Chengfu: these changes still left us with legitimate legitimate versions of Yang style. While there are still legitimate Yang style teachers, I believe that many of the subsequent teachers have inadvertently created a multitude of variations that they call Yang Style, that are categorized as Yang style, but - upon closer inspection - they are certainly not Yang style. Many times these so-called Yang styles violate the fundamental defining properties of Tai Chi Chuan. This has been exacerbated because there has also been a major emphasis on Tai Chi Chuan taught as only a health exercise. A consequence of the proliferation of these teachers, practice with music and other distractions, and by associations built on social interactions not connected by practice have allowed both the government forms developed in the late 1950's and the idea of New Age "holistic" practice to degenerate Yang style further than would have been possible by one of these factors alone. 1. How Did Yang Luchan's Style Emerge From Chen Style? One thing that continues to baffle many writers is, "How Yang Style Taijiquan developed from Chen?" From what we see today, Chen Style and Yang Style are very different. Some writers blamed Yang Luchan as having "watered down" Chen style and creating some variant that exists as a health exercise only. This comment usually comes from people that have a limited exposure to internal - soft style - martial arts. People with a solid background in the Chinese internal martial arts (Taijiquan, Xingyiquan, and Baguazhang) do not usually make this claim. Let us put an end to the demented idea that Yang Luchan created some variant of Taijiquan that exists only as a health exercise while offering fee based martial training to professional soldiers in a time of conflict. From a comparison of traditional internal martial arts, and contemporary internal martial arts, the choices the traditional arts made have usually involved the emphasis associated with martial applications, whereas the contemporary versions have focused on external presentation. In this context, traditional Yang style's connection with Chen style can be seen as an evolution following a specific internal approach: Yang style relies much more on neutralization rather than the more overt martial applications such as seizing and grabbing. As I eluded to on page one, I think the start of this evolution from Chen style to Yang style is a legacy of Yang Luchan's teacher, Chen Changxing. In my opinion, Chen Changxing practiced the Chen Style form significantly slower than what is done now and used concealed strength in application. The circular and spiral aspects were able to come more naturally to the forefront in Chen Changxing's practice. In this context, it is not too great a leap to make the circular and spiral aspects even smaller and purposefully more natural with the consequences that they are concealed that much more. That is what legitimate Yang style does. When Yang Luchan unveiled his style, he created what was perceived by his contemporaries as a much more internal, softer approach than what was known of Chen Style Taijiquan at the time. Even when Chen style was popularized in Beijing in the 1930's by Chen Fake, there were both hard and soft components. In this light, Yang Style can be viewed as representing a step toward the internal path of Nei Jia kungfu in the development of Taijiquan. Yang Luchan's arrival in Beijing helped bring about a renaissance of martial practices associated with early Taoist forms. A large group views Yang Luchan as bringing about a flowering of Internal (or Nei Jia) martial arts. Another group views the approach of Yang Luchan as having emerged from his travels as a pilgrim attempting to return to a "wandering Taoist" version of Tai Chi Chuan that predated Chen style. The legendary wandering Taoist, often credited with having first discovered Taijiquan, was Zhang Shanfeng (see image). There are groups of practitioners who believe that Yang studied with another internal martial arts teacher who influenced his development of Yang Style Taijiquan. It is amazing to me that we now have a sort of tunnel vision to the effect that Yang Luchan learned strictly from one teacher. We tend to fixate on unsupportable ideas: perhaps Chen Fake was the only Chen Stylist of his time with real skill; or perhaps Chen Changxing was the only Chen Stylist of his time with real skill; or perhaps Feng Zhiqiang (or Chen Xiaoweng or someone else) is now the only Chen Stylist with real skill. Such perceptions have always existed. Skill is not due to someone's teacher, but it is the reward of of persistent practice, internalization of the classics and the adherence to appropriate body dynamics. Like Chen Changxing, Yang Luchan went on to develop two sets, a large and a small frame. Rumor has it that Yang practiced something very different than the "traditional" large frame that survives today. We know that Yang Luchan's practice had to evolve over his lifetime. However, the story of an entirely separate indoor practice is perpetuated by several groups that claim to teach either the "true" Yang family style or Yang Luchan's closely held indoor style. It is impossible to reject these claims out of hand and any independent evaluation of their lineage would be very difficult. Personally, I believe that Yang Luchan practiced his own version of a Manquan, or slow set, and very possibly a Taiji Kuaiquan, or combative, fast set version. I also think that there had to be changes in emphasis and other developments made before the wholesale changes that his grandson (Yang Chengfu) made to the version of Yang style he taught. For Taijiquan styles and sub-styles, the real test is not if their lineage has a real history or a fictional history. The real test of a style or sub-style is the skill level of the teachers, their students and if they adhere to the fundamental Tai Chi Chuan defining principles as stated in the classic texts. Even this is not a perfect test: which style should be evaluated by their worst students? It is quite possible that there are completely legitimate styles of Tai Chi Chuan with incorrect or incomplete versions of their lineage. There are also apparently legitimate styles of Tai Chi Chuan with apparently true lineages that do not teach real Tai Chi Chuan. One true test for legitimate Yang style is whether neutralization is being used or not. It really doesn't matter whether the frame is large or small, or whether there is a movement here or there (regardless of how "secret" the move may be). What matters is that there is an efficiency to the movements, a usefulness, and that there is a reliance more on the variable of neutralization over immediate technique-based responses which may work in some situations but not in others. The truth is, the use of neutralization requires training in patience, and exactness: the sort of patience and precision, afforded by the practice of traditional Yang Style and its derivatives. This internal approach is not exclusive to traditional Taijiquan. I have seen neutralization, patience and precision emphasized in traditional Baguazhang, Xingyiquan, and even in traditional Judo and Western Wrestling. After arriving in Beijing, Yang Luchan established his teaching credentials by accepting challenge matches. These matches ended like the others that had made him famous in his travels. Instead of leaving a trail of injured (or even dead) opponents, Yang Luchan was able to show his martial skill and yet avoid creating enemies. This is all the more impressive given the local culture around the Forbidden City, dealing with a mostly Manchurian elite Palace Guard and the time of conflict. 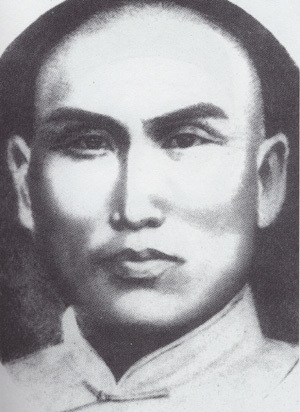 The historical record is that Yang Luchan was able to teach and to attract a range of students to him that included the Manchurian professional soldiers stationed in Beijing. Yang Luchan had three sons, the oldest one died during his childhood. The other two boys were called Banhou and Jianhou respectively. Banhou was much more introverted, and in many ways like his father, Luchan; but a bit stronger and thicker in the girth. Jianhou was - by all accounts - happier and more approachable. Jianhou's practice was often referred to as "middle style," and became known as "medium frame," while Banhou, the second son, became obsessed with efficiency. Yang Banhou had a reputation for being quite rough on students. There are stories of "over-the-top" urging from their father, including that the sons were horse whipped by the Yang Luchan if they didn't measure up to his expectations. However, it was not uncommon for cruel punishments to be dolled out in the more traditional patriarchal society of China at that time. Yang Banhou (see image at right) may have looked like Yang Luchan physically, but his emphasis appears to have been on the small frame. Banhou may have achieved more of Yang Luchan's internal practice than his brother, but it is not clear that he was able to pass this on to any other Yang family members and he seems never to have had a large number of students. Yang Banhou did teach one of Yang Luchan's student's Quan You, who was famous for his practice of neutralization. Taken together, the Yang small frame and neutralization may have been the largest contributing factors that lead to the development of Wu (Jianquan) Style Taijiquan. They appear to have been de-emphasized in most of the Yang Style Large Frame practice that has survived today. Wu Quan You and Wu Jianquan may have indirectly carried forth the essence of what Yang Luchan and Yang Banhou did in the small frame and in the area of neutralization more than the subsequent generations of Yang Stylists. A different impression of the teachings of Yang Banhou can be seen from his surviving writings. These are available in several translations into English. The emphasis is on the correct approach to discharging an opponent. Yang Luchan's younger son, Yang Jianhou, had a more positive demeanor than his brother and this helped him become the most influential of the early Yang family teachers. Yang Jianhou's development of the "middle style" and his emphasis on ancient weaponry such as pole, spear, and sword -- as well as his adept skill in application and push hands -- made him a very popular teacher. Therefore, what Yang Jianhou was practicing became the surviving standard of Yang Style at the time. It is reported that Yang Luchan's best students in Beijing were Wan Chun, Lin San and Chuan You (Wu Chian Chuan's father). Each is said to have acquired a different skill from their teacher: energetic, offensive and neutralizing respectively. These skills are compared to the muscle, bone and skin of the style. What these students passed on in their teaching had to reflect their own interpretation of the art of Taijiquan. Even if we were able to study the practice of each one of these three students, it is not at all certain we would have a clear and integrated concept of Yang Luchan's Taijiquan practice. In addition to the differences between the practice of Yang Banhou and Yang Jianhou, the creation of Northern Wu style can be traced to about this time. Quan You (who later changed his name to from You to Wu) taught Tai Chi Chuan to a number of students after he retired from the military. This appears to be a distinct practice from that of Yang Banhou. What is important as far as the development of Yang Style Taijiquan, and it's relevance for today's practitioners is that from the start, Yang Luchan's sons and student had their own take on what Yang Luchan was doing in his practice. This is what makes Taijiquan a unique practice and living style from generation to generation. The challenges and context for different generations are not the same. The students are taught principles and examples of implementation. Then those principles are interpreted through each student's practice, abilities and teaching. To achieve a really high level, the student must make his Taijiquan practice very individual and specific to themselves.